Following seven fatalities in the three years from 2010 – 2013, a limited number of lethal drumlines were deployed for a three month trial period between the end of January and April 2014. Following the trial program the Government proposed to set drumlines for a further three years, in addition to the shark mitigation measures already enacted. The proposal was designed following a close examination of long-running shark control programs in other jurisdictions, including Queensland and New South Wales, South Africa and Brazil, and included recommendations from a review of the trial program. The three year proposal was subject to the highest level of environmental assessment in the form of a Public Environmental Review, which was subject to a four-week public submission process. In September 2014 the Environmental Protection Authority recommended that the proposed three year drumline program not be implemented due to a high degree of scientific uncertainty about impacts on the south western white shark population. In October 2014 the Government withdrew the proposal from the Commonwealth assessment process. Further information on the three month trial drumline component of the strategy is available in the Public Environmental Review and the Western Australian Shark Hazard Mitigation Drum Line Program Review 2013-14. In January 2014, two Marine Monitored Areas (MMAs) were created to offer additional shark hazard mitigation measures in WA. In the metropolitan region the MMA included the area from Quinns Rock Beach to Warnbro Beach and extended from the beach to 1km offshore. In the South West, the MMA covered Forrest Beach to Prevelly, and also extended 1km offshore. Within an MMA, drumlines were deployed about 1km off beaches and popular surfing spots. Beaches within the MMAs were patrolled by vessels commissioned to deploy and bait drumlines, monitor the drumlines daily and remove sharks and other bycatch. Outside the MMAs all responses to sharks were managed under existing arrangements, including the information being posted on Twitter, and/or beach closures at patrolled beaches. A drumline is a fishing apparatus that consists of a baited hook suspended from buoys and anchored to the ocean floor. Hook size and design for the trial program were chosen to target large sharks and to minimise bycatch. 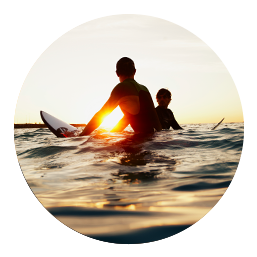 With assistance from Surf Life Saving WA, drumline locations in the metropolitan area were chosen based on beach popularity, sea floor habitat, a history of recorded shark sightings and patrol coverage by paid and volunteer lifesavers. Within the Metropolitan MMA, baited drumlines were deployed about 1 km offshore at Mullaloo, Trigg, Scarborough, Floreat, City Beach, North Cottesloe, Cottesloe, Leighton and Port Beaches. Up to 30 drumlines were deployed in the Metropolitan MMA between 31 January and 30 April 2014, and were patrolled between 6am and 6pm daily. During January and early February 2014, drumlines were deployed in the South West about 1 km offshore at Old Dunsborough, Castle Rock, Meelup and Bunker Bay. These beaches had increased shark hazard mitigation measures until mid-February 2014, after which the equipment was transferred to an area between Yallingup and Lefthanders, with a greater emphasis on surfing locations. These drumlines remained in place until 30 April 2014. Up to 30 drumlines were deployed and patrolled at any one time in the South West MMA. White (Carcharodon carcharias), Bull (Carcharhinus leucas) and Tiger (Galeocerdo cuvier) sharks with a total length of 3m or greater, caught in an MMA were captured and killed. All sharks under 3m, and non-target species over 3m, in a healthy condition, were released. Sharks that were destroyed as part of this strategy were tagged with an identifying numbered tag and taken a distance offshore, within State waters. The tags will assist in identifying the carcasses should they wash up on shore.